Now that you have moved into the luxury apartment of your dreams, you get to take advantage of all of the luxury amenities, including a spacious walk-in closet! While a walk-in closet is the ideal storage option, you need to have a plan for that space in order to keep things orderly. Luckily, Harborside Village is here to help with our top tips for organizing a walk-in closet. Read on to find out more! 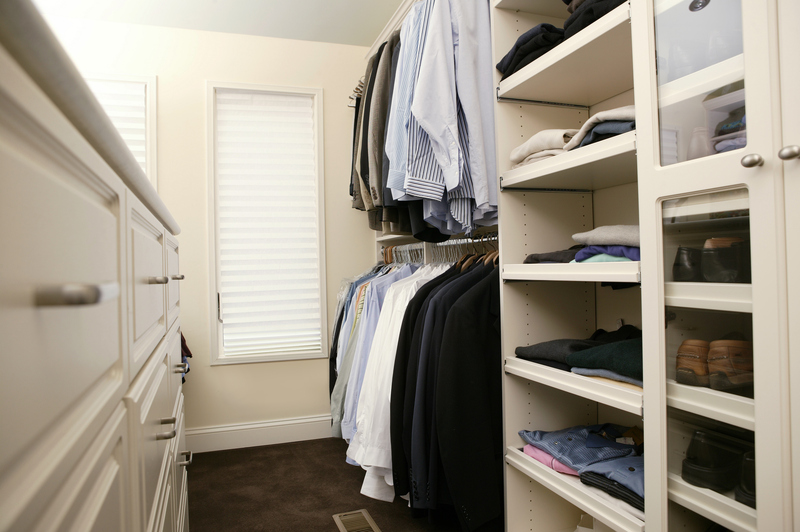 To get the most out of your walk-in closet, you are going to want to make sure that it is kept organized and clean. One of the easiest ways to do this is to use a double-rod instead of a single-rod closet organizer. With a two-tiered level, you can place your hanging items of clothing separately (tops and bottoms) without worrying about squishing everything onto one bar! This automatically makes for a cleaner-looking closet. To make this trick even more effective, try placing tops below their matching pants or skirts for easy outfit locating! Ever try to access things in your closet, only to trip over pair after pair of shoes? Leaving shoes all over the floor is not good for organization, even with as much room as a walk-in closet gives you. Shoe organizers can safely store shoes against the wall; you can also use multi-purpose tubs to store shoes based on season or frequency of use. When organizing your walk-in closet, frequency of use is an important factor to keep in mind in general. Items that you do not often need, i.e. rain boots, heavy winter accessories, or evening purses, should be stored on the topmost shelf so that they are out of the way. Your most frequently-used items, i.e. your day-to-day purse or bag, a favorite belt, or a jacket should have their own special hooks on the back of the closet door or somewhere else that is easily accessible. This way, you won’t have to go searching for your must-have items- they’ll have a “home” of their own! This entry was posted on Wednesday, January 7th, 2015	at 9:37 pm	. Both comments and pings are currently closed.